Conventional wisdom about this country’s short-lived attempt to ban “the manufacture, sale, import, and transportation of intoxicating liquors” views it as a spectacular failure. The corrupt, inefficient enforcement and subsequent repeal of Prohibition inarguably demonstrated the difficulties involved in regulating personal behavior in the absence of a moral consensus. But there is more to the story, and recent histories have sought to convey both the era’s colorful complexity and its checkered aftermath. Daniel Okrent’s “Last Call: The Rise and Fall of Prohibition” (2010) was an especially sharp look at the politics and personalities involved in both the ratification of the 18th Amendment in 1919 and its repeal, via the 21st Amendment, in 1933. Popular culture has made Prohibition — in particular its flouting — seem like good, old-fashioned fun. But Okrent noted that our prevailing images of flappers, speakeasies, and liquor-impounding lawmen should be supplemented by darker ones of murdered rum runners and victims of poisoned hooch. 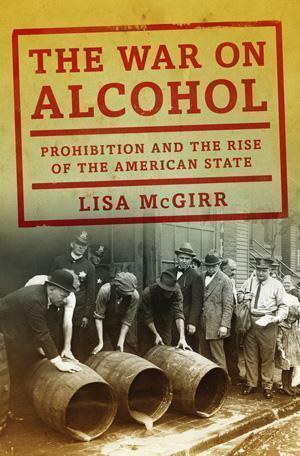 Lisa McGirr’s “The War on Alcohol,” though it touches on the politics of Prohibition, is less enlightening on its specific proponents and antagonists, and certainly a less lively read. McGirr’s central, and somewhat counter-intuitive argument, is that Prohibition, for all its shortcomings, laid the foundation for the expansion of federal power, the modern penal state, and our ongoing unsuccessful war on drugs. McGirr adds to our understanding of the era with case studies of selective enforcement of the federal Volstead Act and state laws linked to the 18th Amendment. Enforcement, she writes, disproportionately targeted working-class, immigrant, poor, and African-American communities. She locates the impetus for Prohibition in an alliance of Protestant evangelism and reformers’ “monumental anxieties over industrial capitalism, mass immigration, and the increasingly large and potentially volatile proletarian populations” concentrated in America’s urban areas. Ethnic working-class communities came to see Prohibition — correctly — as “an attack on their leisure and personal habits.” They widely flouted the ban, though their drinking became more clandestine — and more expensive. Moonshine and boot-legging boomed, as did gangland influence, political corruption, and violence. Accounts of Prohibition lawlessness traditionally have been “tinged with romance and nostalgia,” McGirr writes. But organized crime devastated poor communities, as did toxic liquor concoctions. Enforcement, which included vigilantism, was not just selective, but harsh and even deadly. In Virginia, for example, violators overflowed the prisons and were subject to service on chain gangs and corporal punishment. Confrontations escalated into “the cavalier use of force,” and small-time operators could be shot. McGirr treats at some length the relationship between a resurgent Ku Klux Klan and Prohibition. “The Klan leveraged the broad scope of the law,” she writes, “to pursue its anti-Catholic, anti-immigrant, anti-Semitic, and white supremacist agenda.” Not that its mission kept Klan leaders themselves from drunken escapades, she adds. Conflict over Prohibition helped precipitate what McGirr sees as an electoral realignment, with working-class immigrant “wets” moving to the Democratic column in 1928. The Democratic presidential nominee, Al Smith, whose Catholicism cost him votes in the South and West, lost to Herbert Hoover. But Franklin D. Roosevelt owed his victory four years later in part to repeal sentiment. Before the New Deal, Hoover expanded federal power, McGirr writes, not least by framing crime (including Prohibition-induced lawlessness) as a national problem. “The radical federal endeavor to abolish liquor traffic is the missing link between Progressive Era and World War I state building and the New Deal,” she asserts. Right or wrong, it is a provocative argument, even if the manifold failures of Prohibition also render it — as McGirr herself acknowledges — a paradoxical one. Julia M. Klein, a cultural reporter and critic in Philadelphia, is a contributing editor at Columbia Journalism Review and a contributing book critic at the Forward. Follow her on Twitter @JuliaMKlein.